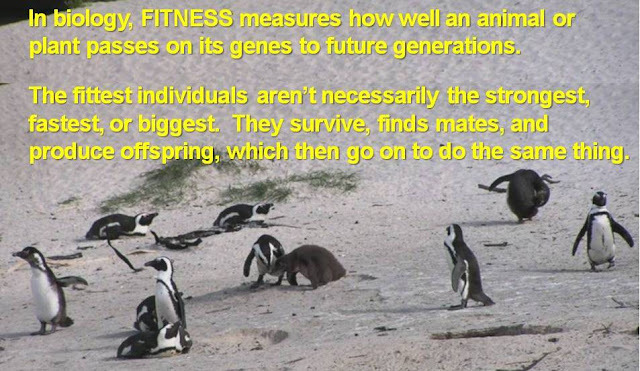 Here's a great image to remind us that species move at their own speeds and that achieving evolutionary fitness doesn't require top speed, strength, or big brain power. Both snails and tortoises (non-swimming turtles) have roamed the Earth for over 200 million years, and their slow speeds have not jeopardized their survival or reproduction. Both benefit from carrying their protective covering on their backs and from eating a wide range of readily-available foods. Land snails eat leaves, fruit, fungi, and algae, while tortoises eat shrubs, cacti, and other plants, as well as insects, worms, and even (yikes!) snails. If we consider body size, the hair-raising speed of this tortoise might be less comical. 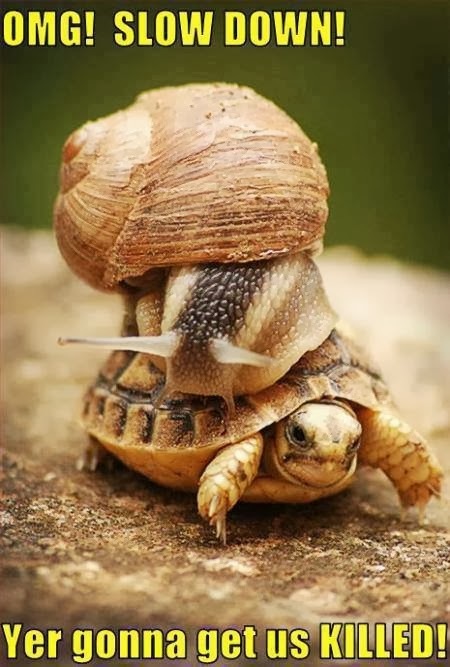 According to Speed of Animals, a garden snail has a top speed of 0.1 km/hr, but if it were your size, it would be moving at up to 2.6 km/hour. Large tortoises move at roughly 0.3 km/hr, and a human-sized version of this little one might reach speeds similar to those of the snail. So no complaining, snail! The image from the I F**king Love Science Facebook page - worth a review for any science buffs! If you dislike the name, consult Science Is Awesome, with much the same content.